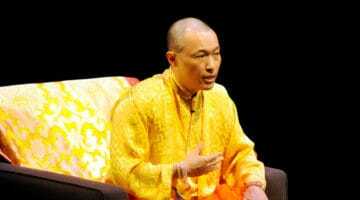 Sakyong Mipham. Photo by robertivanc via WikiMedia Commons. Shambhala has released a report detailing dozens of allegations of sexual, child, physical, and emotional abuse within the community dating back to the 1970s. The report is by An Olive Branch, a Buddhist-inspired nonprofit that helps spiritual communities develop ethics policies and address misconduct. The allegations have not been corroborated or investigated. Also included are An Olive Branch’s recommendations for going forward, and a proposed Code of Ethics. 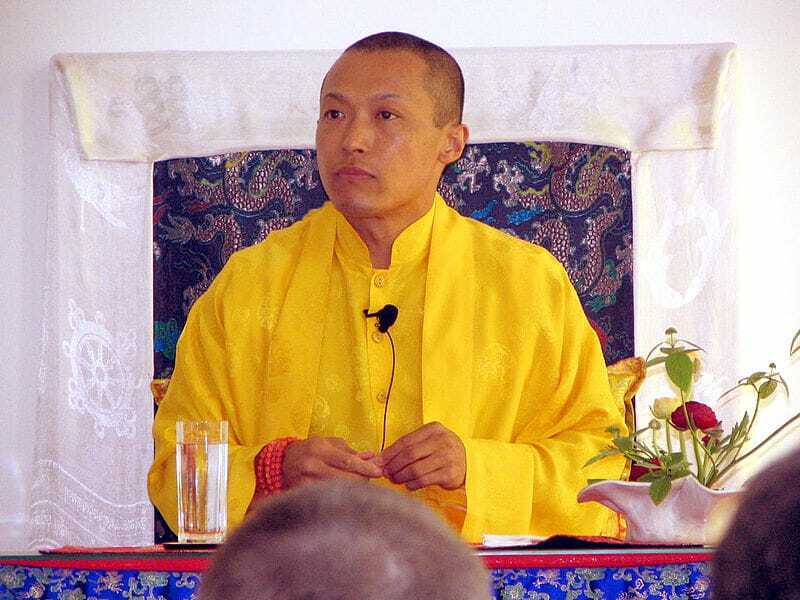 Last year, Buddhist Project Sunshine brought to light multiple allegations of sexual misconduct by teachers and staff members in Shambhala, including the head of the organization, Sakyong Mipham Rinpoche. In response, Shambhala hired An Olive Branch to gather information on misconduct in the community and to recommend new policies on care and conduct. 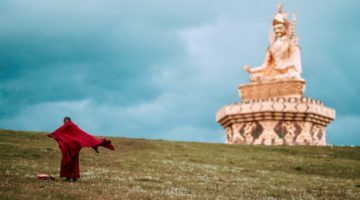 An Olive Branch opened a “Listening Post” phone line to allow people who have experienced harm in Shambhala to anonymously report it and receive support. The phone line was open from September through December of last year and heard from 62 callers. According to the report, the Listening Post received 51 accounts of sexual abuse, 7 accounts of child abuse, 10 accounts of physical abuse, and 12 accounts of emotional abuse. The accounts of sexual abuse included three allegations against Shambhala center directors, four allegations against senior teachers, and one allegation against each Sakyong Mipham and Shambhala founder Chögyam Trungpa, whom a woman alleges sexually assaulted her in the early 1970s. Except for the references to Sakyong Mipham and Chögyam Trungpa, all names and other identifying details have been redacted from the report. Also released was a wide range of recommendations by An Olive Branch about changes Shambhala could make to create a safer community and a draft of a proposed Code of Ethics representing a “new set of suggested policies and grievance procedures for community care and conduct.” These can be downloaded here. The recommendations are, An Olive Branch writes, “directed to eight topics where organizational change is needed: 1. Public Response 2. Governance Structure 3. New Code of Ethics and Compliance 4. Training 5. Track Incidents of Harm 6. Listening Post and Advocacy Service 7. Cultural Change 8. Reconciliation.” Measures for greater transparency, enacting a new code of ethics, instituting a “critical incident reporting system,” “ending the culture that has tolerated abuse of power,” and more are addressed. The proposed Code of Ethics details unacceptable behaviors (sexual misconduct, inappropriate speech, harmful physical actions, unlawful behaviors, and “other behaviors that splinter the community”), defines Shambhala office holders’ roles and responsibilities, outlines a procedure for lodging a complaint against them, and more. In February, Shambhala released the findings of a third-party investigation into sexual misconduct in the community, which described two instances of misconduct by Sakyong Mipham. 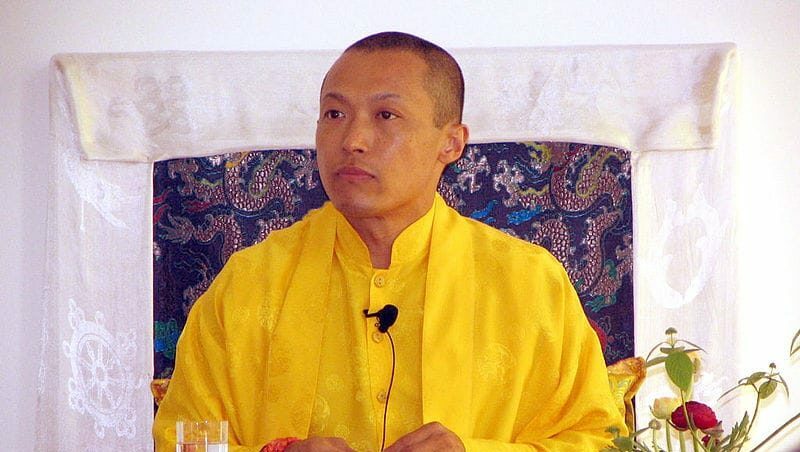 Partly in response to the investigation, six former aides wrote an open letter describing abusive behavior by Sakyong Mipham. Also that month, a former teacher in the Shambhala community was arrested for sexually assaulting a child, who was a meditation student of his, in 2003.